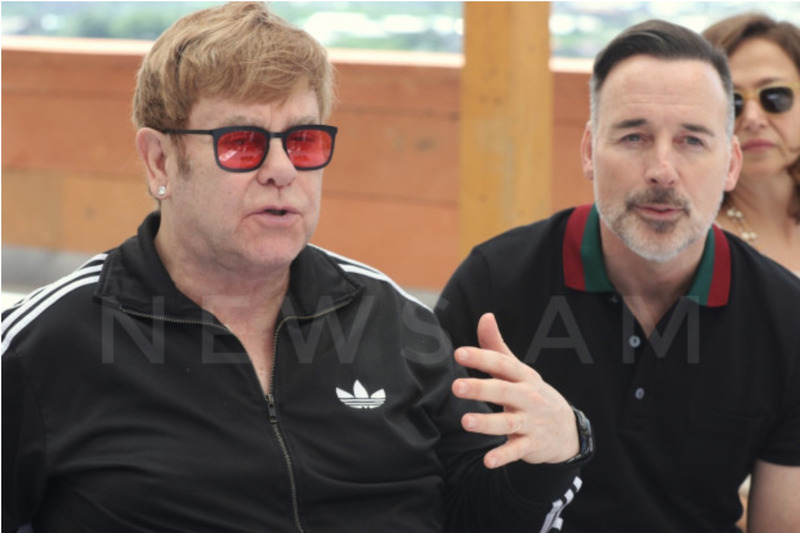 Elton John arrived in Yerevan as part of charitable project by Starkey hearing aids company. It was great to see he is accompanied by husband David Furnish. And it was awesome that in front of Armenia president and media Elton says he/his foundation will support LGBT community in Armenia. Unfortunately, Armenia president Armen Sargsyan did not live up to expectations when he shrugged off the question of Elton John meeting with LGBT community saying that this question doesn’t relate to him as he has ‘no relations with that community’. From 4:05 (video below): "Դա ինձ չվերաբերող հարց է որովհետև էտ համայնքի հետ ես որևէ կապ չունեմ բայց Էլթոն Ջոնը հայտնի է ինքը"
To remind, Elton was invited by Armenia president Armen Sargsyan. President refers to Elton as friend (he even used Armenian wording “բարեկամ” - literally “relative” but used to express closeness). So, Armenia president is only friends with LGBT people if they are foreigners and wealthy. Big fail here, Mr. President. Until this mentality changes, New Armenia will keep remaining as a dream rather than a reality. Mystery of “one hater” revealed. Apparently, a man threw eggs at Elton John in the foyer of the Alexander Hotel.